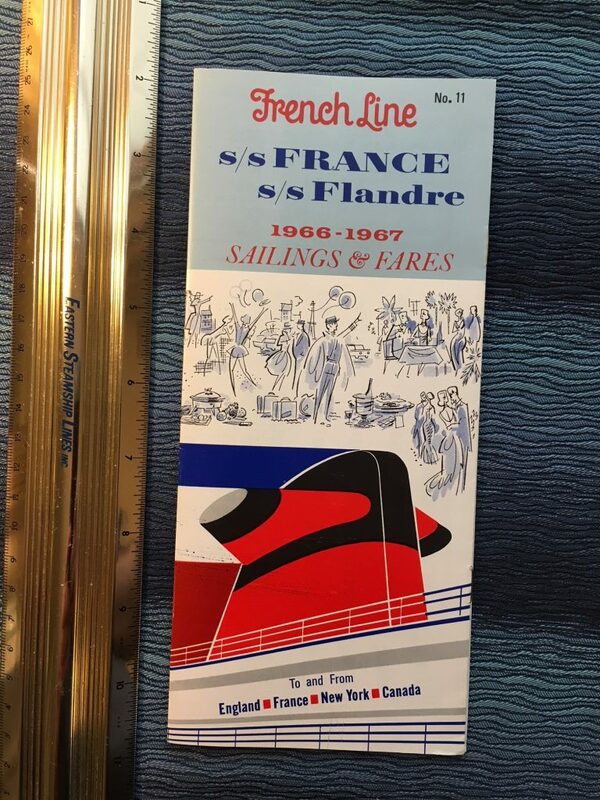 Excellent sailings and Fares folder for the French Line dates 66/67. 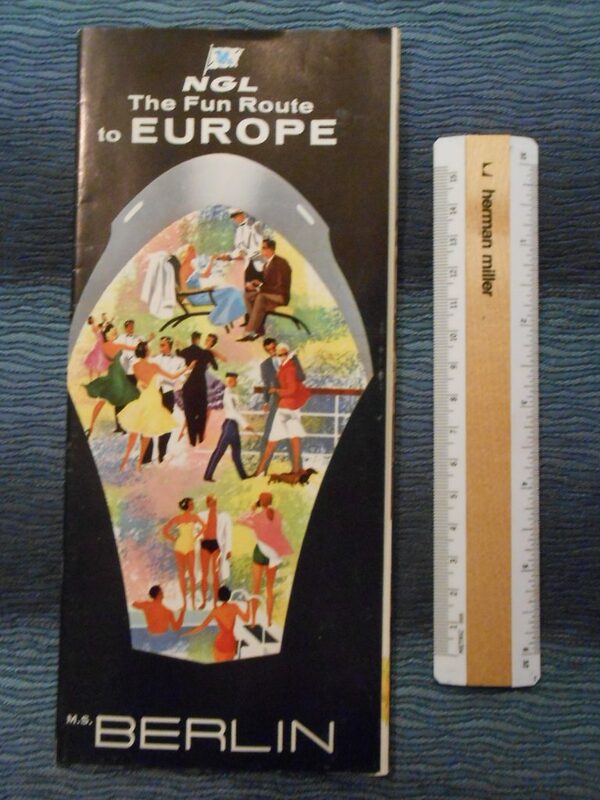 Excellent condition and funnel graphics on the cover. 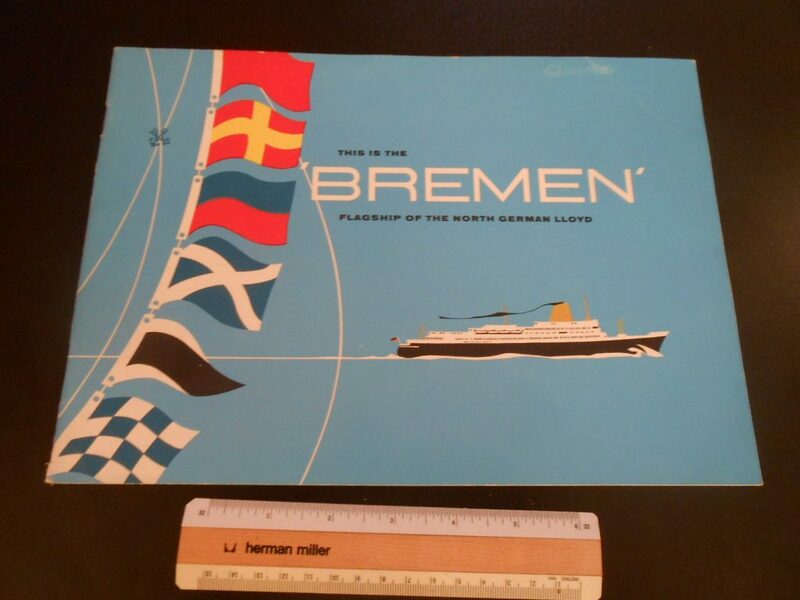 Excellent cut away folder for the Bremen 5 in German. 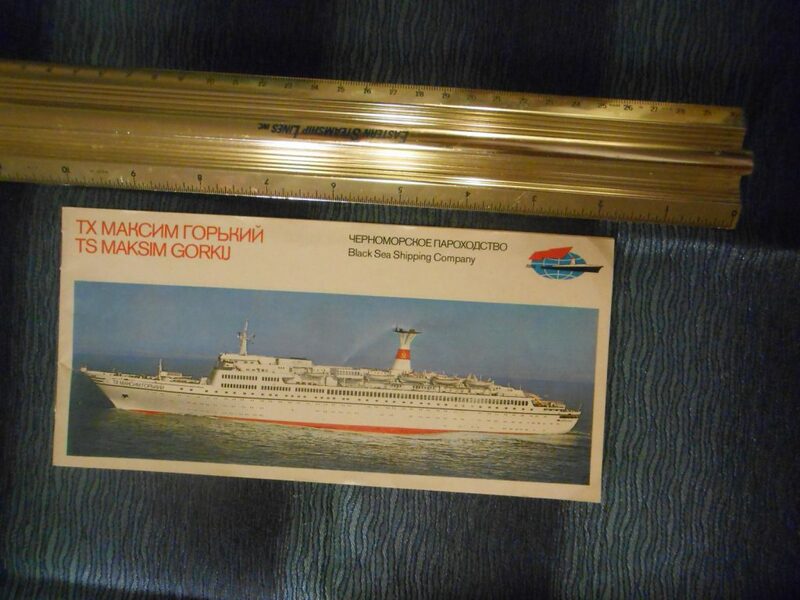 One side features a magnificent color Starboard side cutaway view , the other side highlights several of the rooms on board in photos. 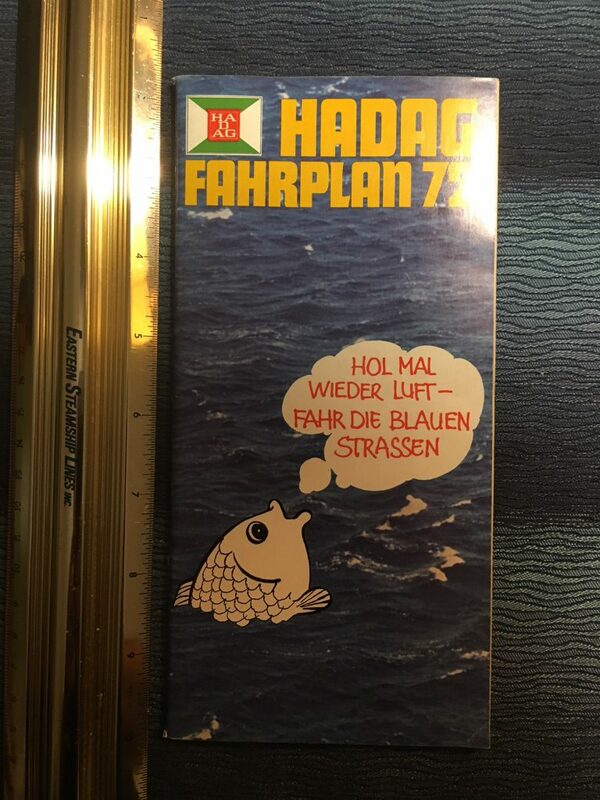 great PL for HAPAG’s lovely little Milwaukee. 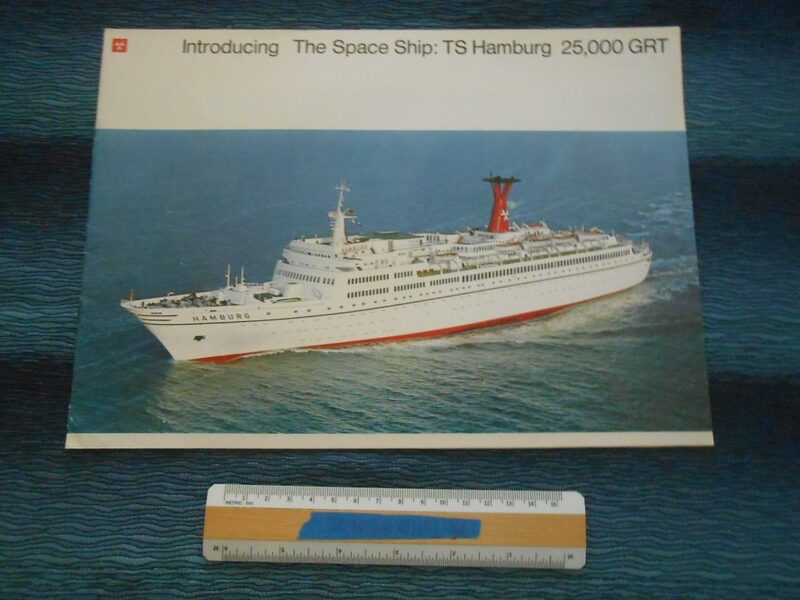 She spent a lot of time on cruises and was a beautiful little motor ship. 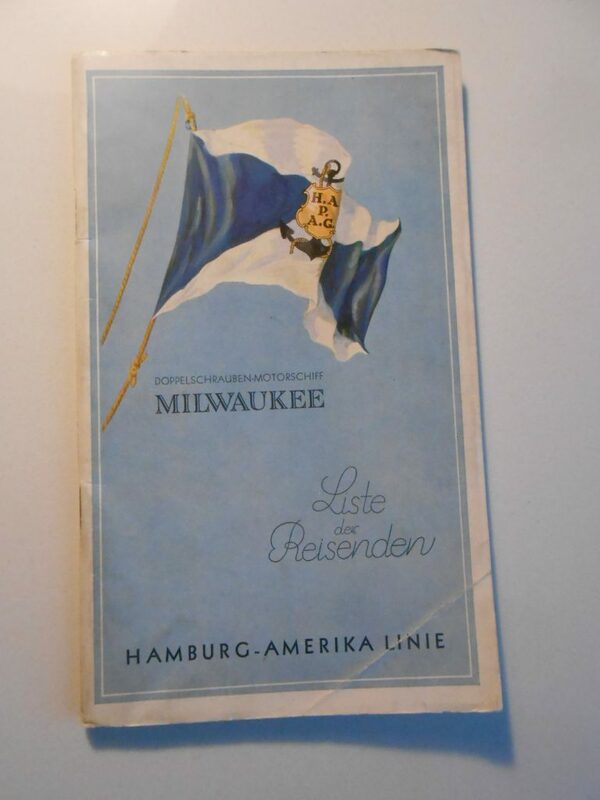 The passenger list is written in German and English and includes some HAPAG Line history as well as History of the city of Milwaukee in Wisconsin for which her names was choses. Nice fold out of Colorful Nation flags in the rear … Not a common Passenger list. Typical wear with some scuffing and folds. 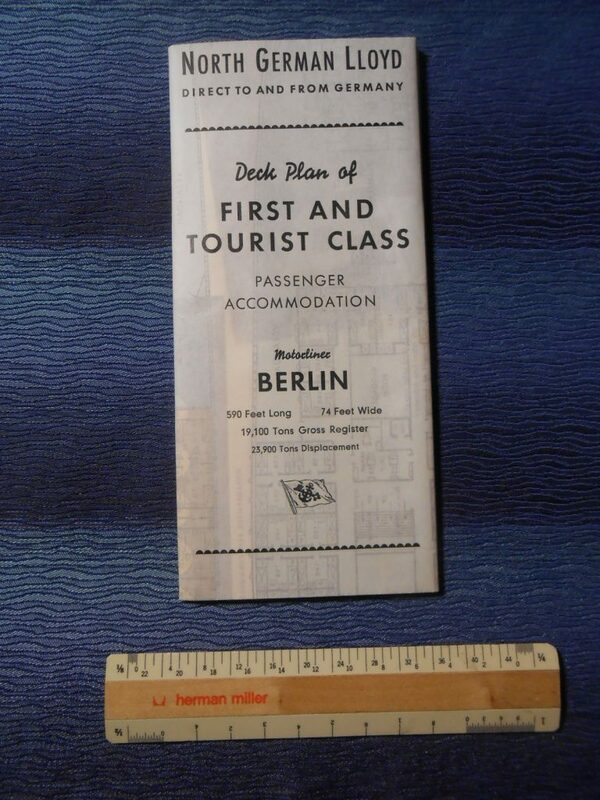 Nice little tissue deck plan for the wonderful long lived Berlin. 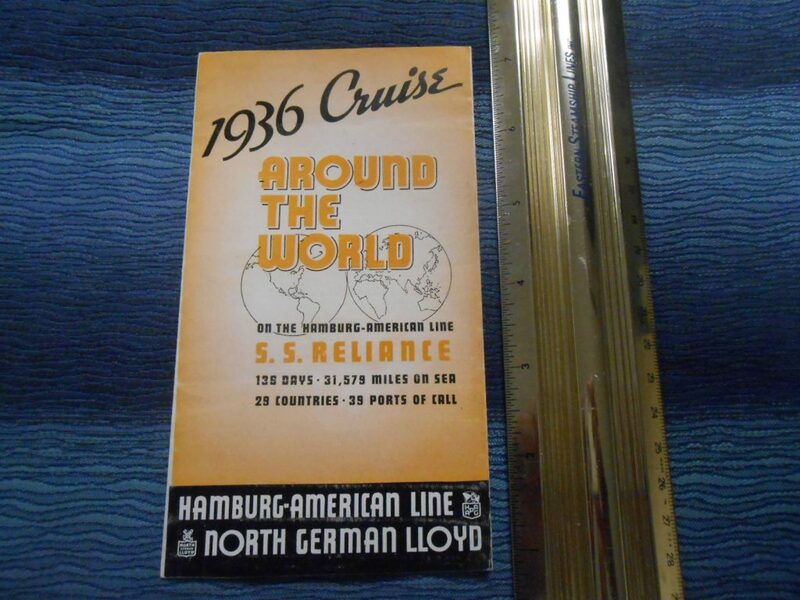 She started life for SAL in the mid 1020’s and became Germany’s Premier liner in the early 1950’s. Some writing .. but interesting item! 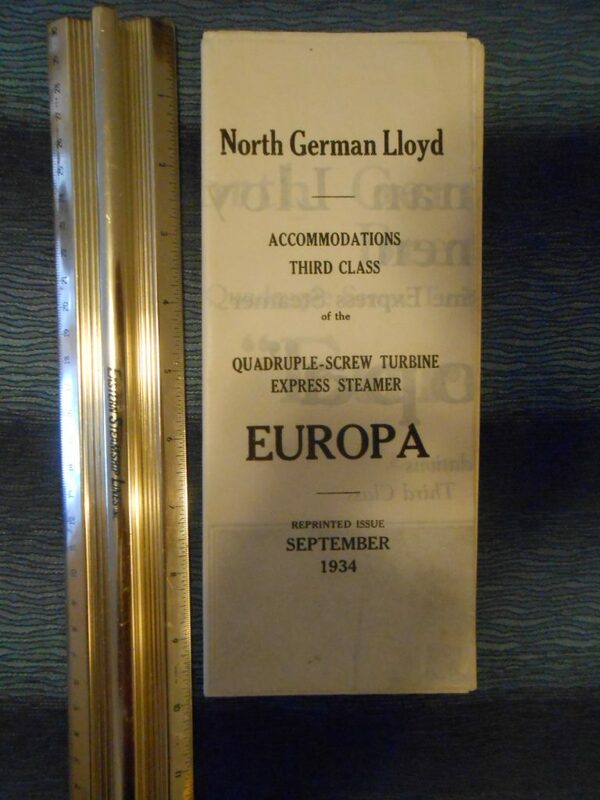 Great tissue deck plan for the Europa … one of the fastest liners of the 1930’s. Very detailed and in great condition. Dated September 1934. She would go to the French post WW2 and live again as the Liberte. 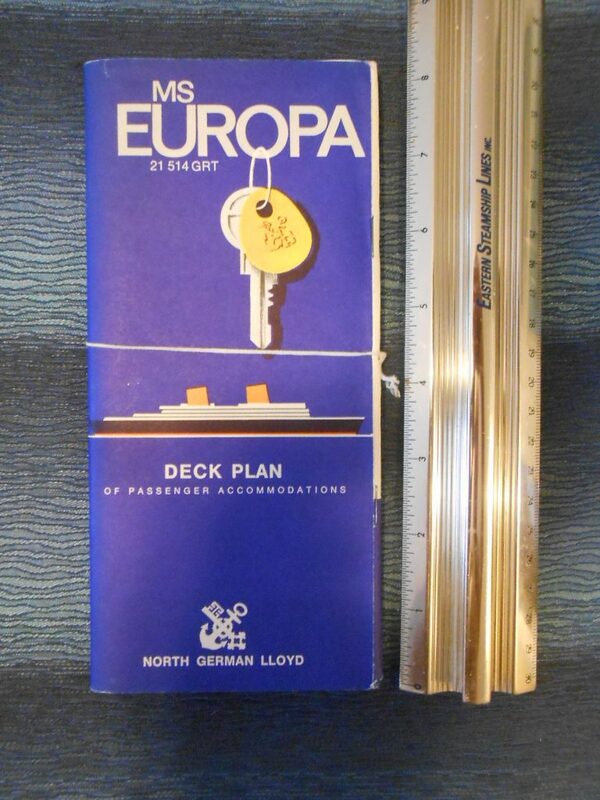 A mint blue cover deck plan for the NDKL Europa … the old SAL Kungsholm. She was purchased to run in tandem with the Bremen.. one the new Kungsholm 3 was in the works. Excellent condition! 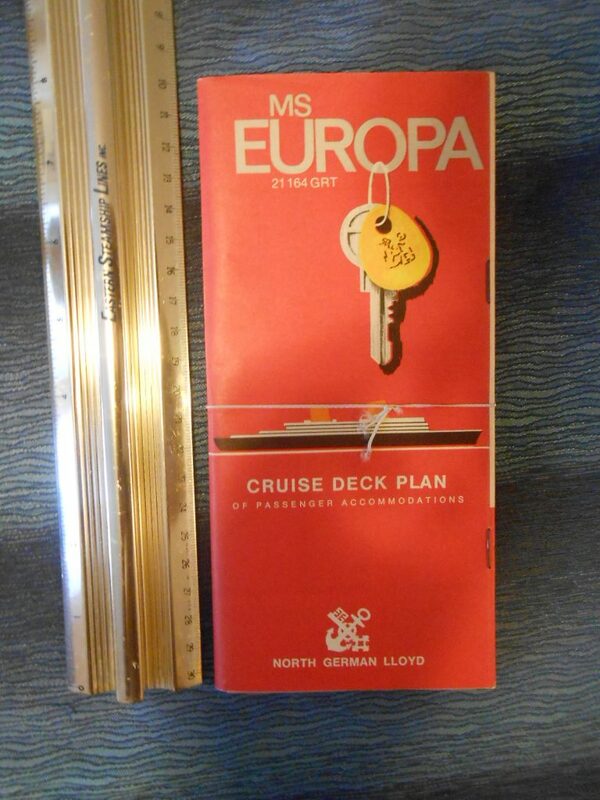 A mint red cover deck plan for the NDKL Europa … the old SAL Kungsholm. She was purchased to run in tandem with the Bremen.. one the new Kungsholm 3 was in the works. Excellent condition! 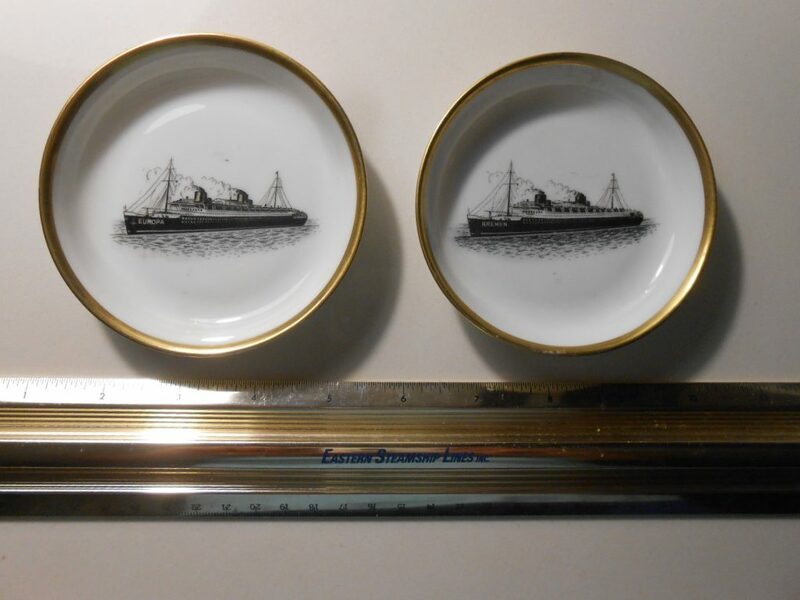 A set of excellent Souvenir dishes for the twin German flyers: Bremen and Europa. An innovative and powerful hit when there were new … they soon suffered from anti- Nazism feelings and sentiment. 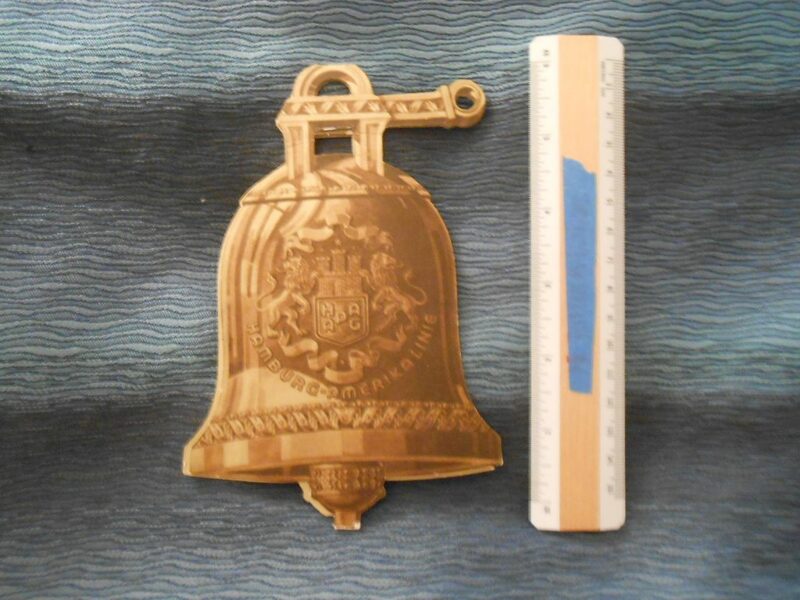 Excellent high quality.. I believe these dishes are porcelain … with real gold rim accents. 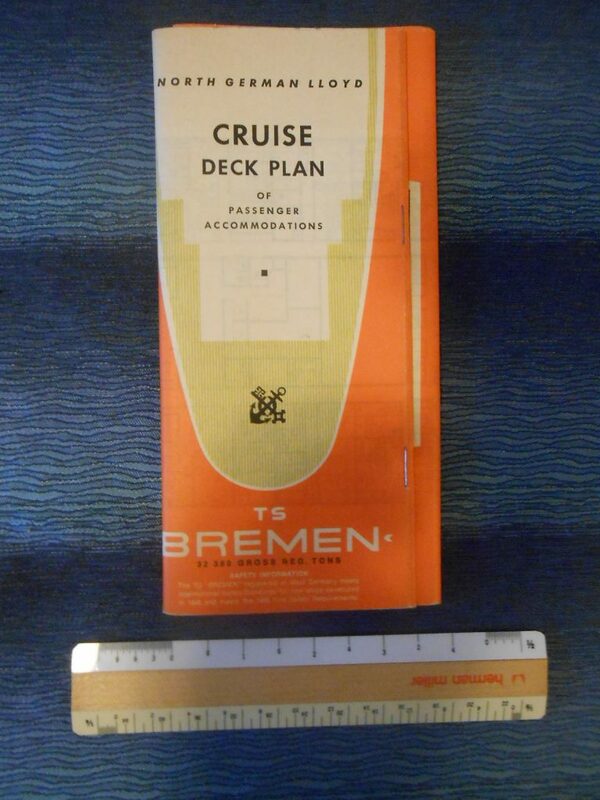 Excellent Bremen 5 cruise deck plan for NDL’s 60’s flagship. This is in like new condition . I loved this ships interiors! Pristine and like new …. 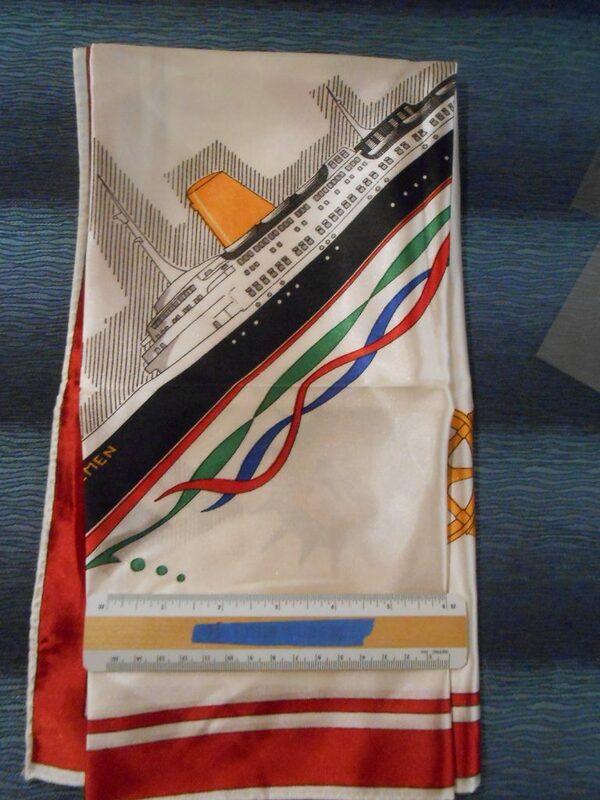 excellent heavy silk/ rayon scarf for NDL’s Bremen and the Europa. I have seen these offered in many border colors … this one has a red boarder. Super condition and getting harder to find. 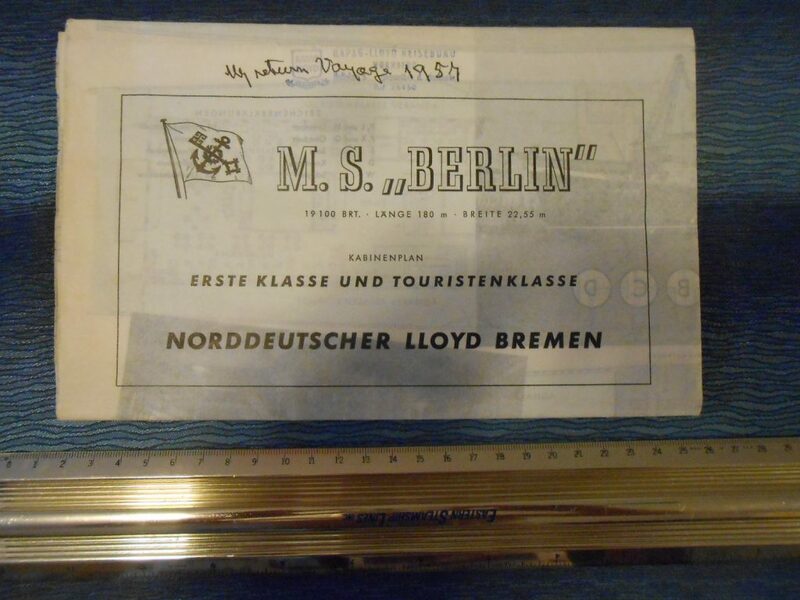 NGL’s first post war flagship … the little Berlin … would have been SAL’s diesel driven Gripsholm. She was updated and scrubbed clean after WW2 and made her way to the Germans by the mid 50’s. 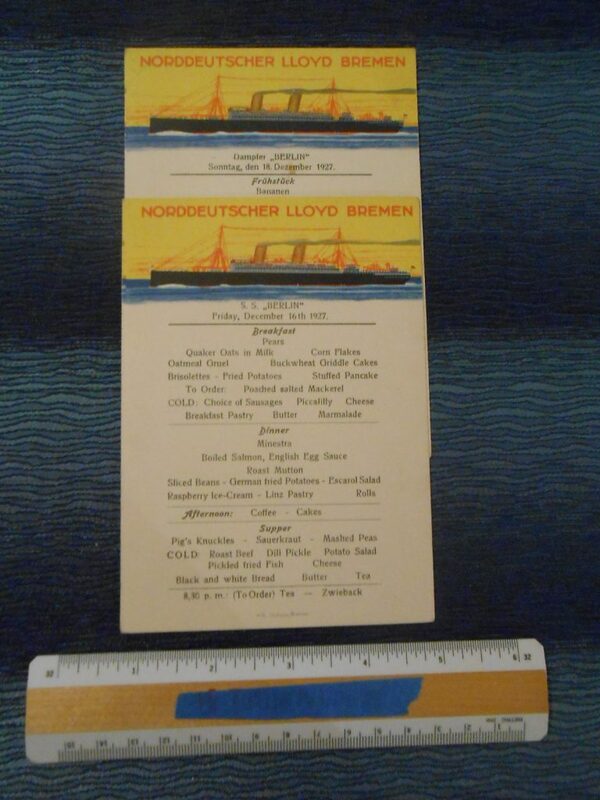 great little folder describing the revitalized German service with lovely color photos … the profile of the ship is wonderful! 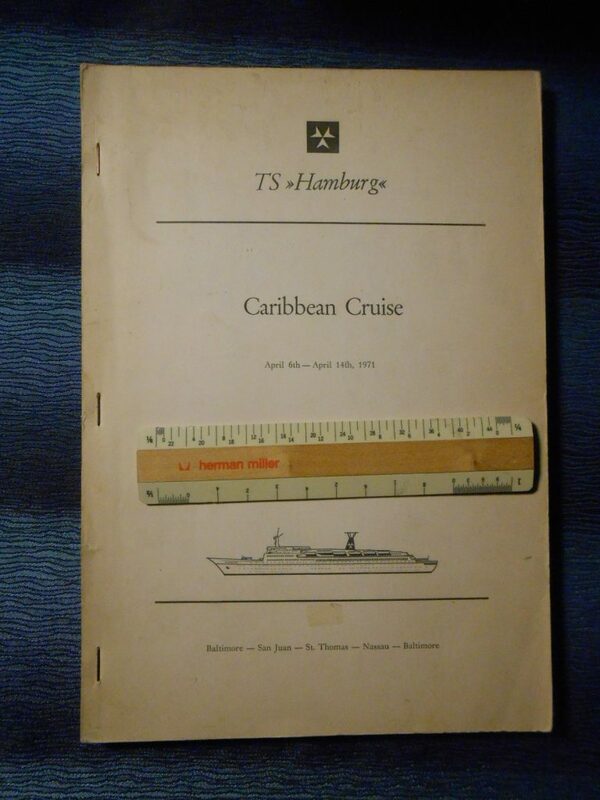 Excellent pack of Menus from the April Caribbean cruise for the TS Hamburg. Excellent art work covers … each day was saved and stapled together as a memento. Lovely vessel and one of the last built with steam Turbines. 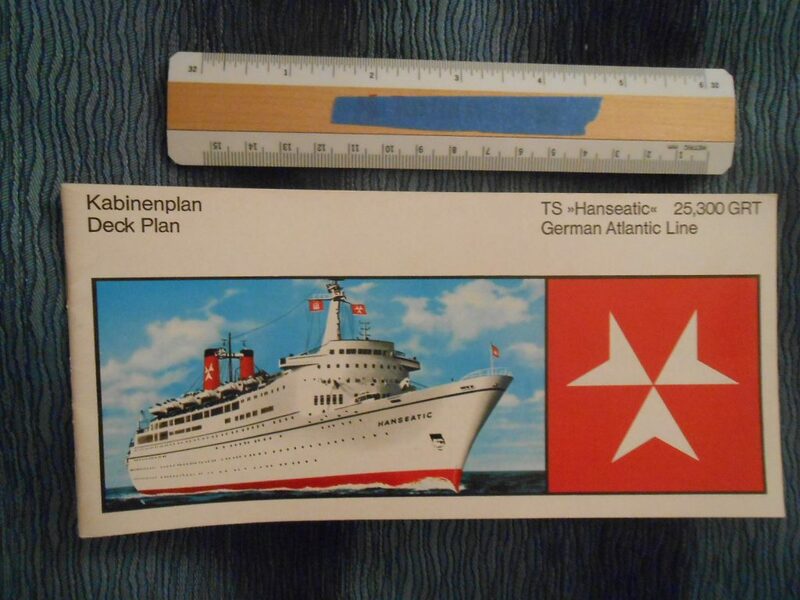 Lovely glossy deck plan booklet for the Hanseatic 2 … once Zim Lines flag ship Shalom. She was chartered and purchased after the Hanseatic’s famous engine room fire at her dock in NYC. 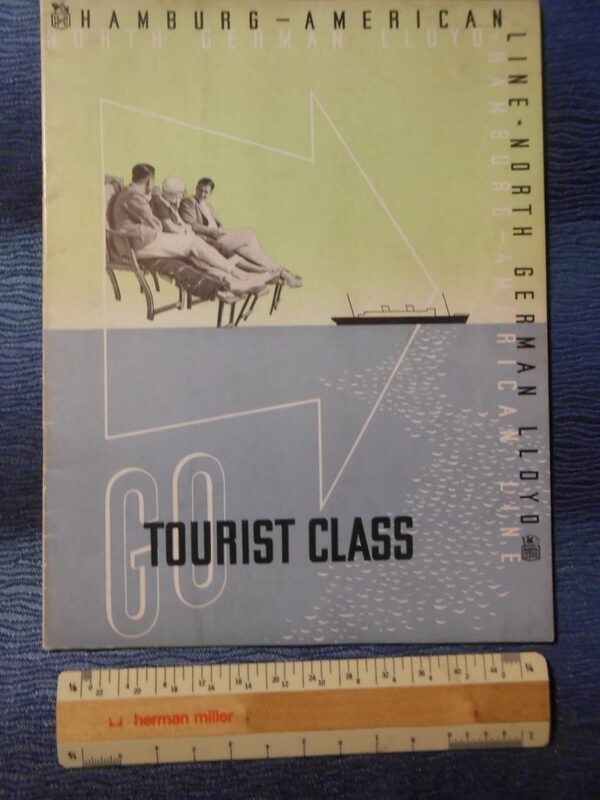 In excellent condition on quality glossy paper. 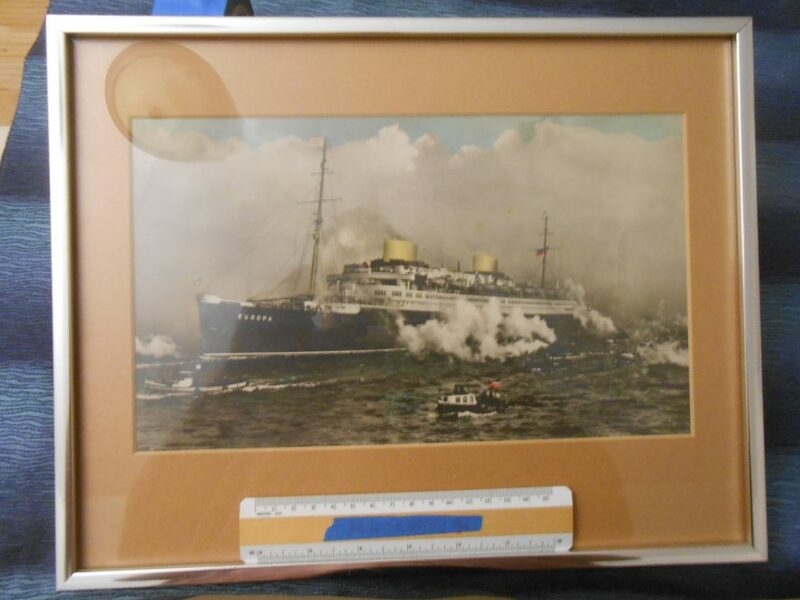 Very nice colorized photo of the 2nd NDL sister … the Europa. Racy and fast, she captured the blue ribbon and one point. After surviving the war, she became France’s Liberte after extensive rebuilding. 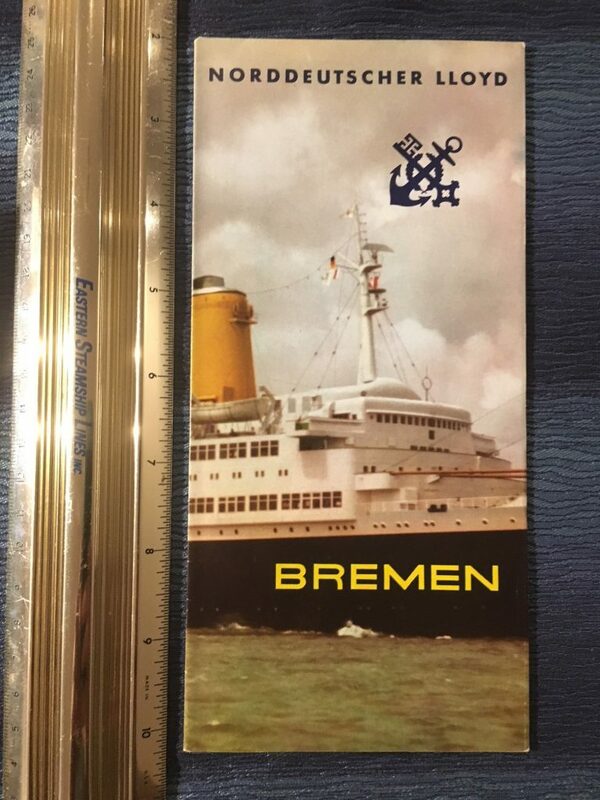 Really cool double set of playing cards for the lovely Bremen 5. One set has a red boarder and one with a grey boarder. 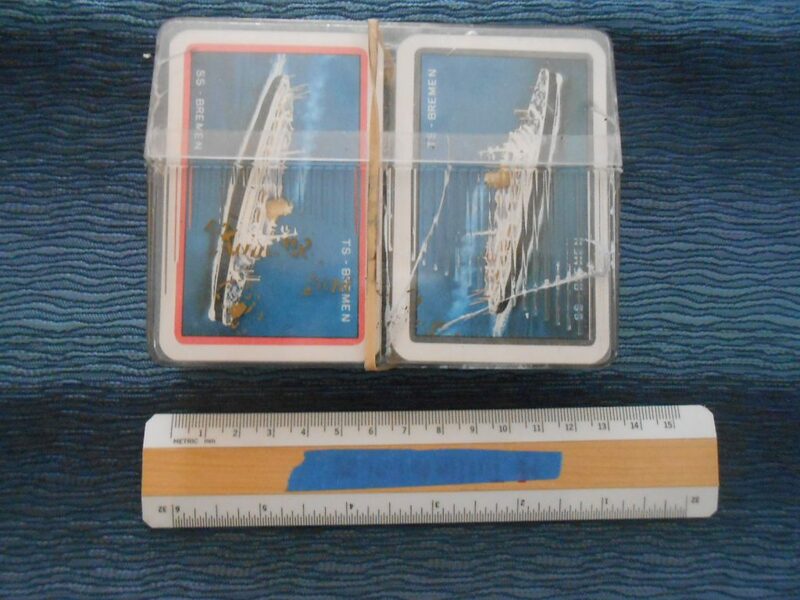 The case is not completely intact but the card look brand new! 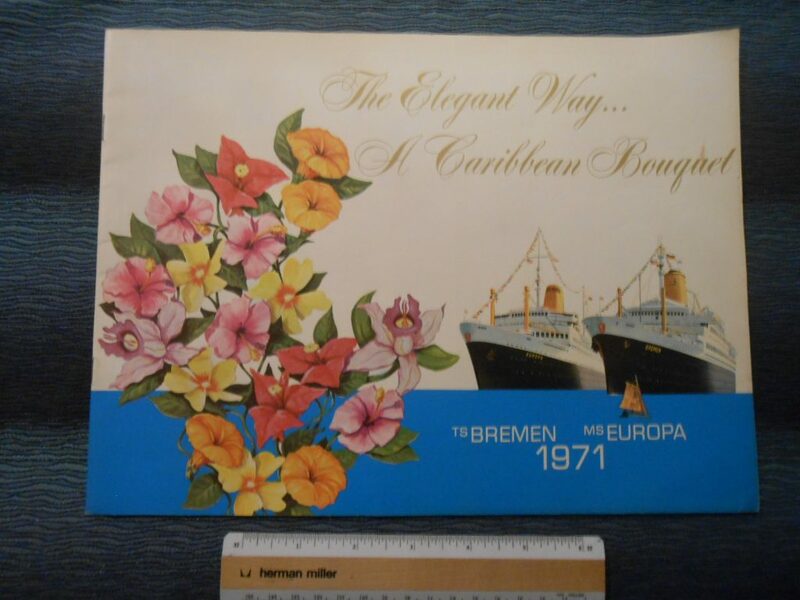 Bremen V. A very nice brochure from her inaugural season. Gone are the French Pastuer days! This brochure has lively interior and exterior profile renderings. I sure wish I had the original renderings! She was a looker! Excellent condition!